Growers and farmers in Sonoma and Mendocino counties are invited to attend a meeting concerning frost protection and drought issues in the Russian River watershed. The meeting is scheduled for Tuesday, February 4 at the Cloverdale Citrus Fair from 9:30am until 11:30am. This meeting is now full. Please watch for information on the next drought meeting to take place in mid-February. Seating is very limited and growers and farmers will have priority due to the seriousness of the situation. Non-growers are limited to one attendee per company if space allows and per RSVP only. The workshop includes information on: the state of our water supply; updates on the 2014 frost season; 2014 fisheries outlook; frost and drought BMPs; proactive water saving practices; and continued coordination efforts and proactive projects. Guest speakers include : county Agriculture Commissioners Chuck Morse and Tony Linegar; Sean White of the Russian River Flood Control District; Pam Jeane of the Sonoma County Water Agency; Rhonda Smith of UCCE; David Reynolds the senior meteorologist from the University of Colorado; and growers Duff Bevill, Al White and Doug McIlroy. For more information contact: Devon Jones [email protected] or 707-462-6664 or [email protected] or 707-522-5862. 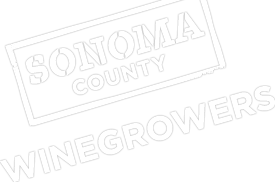 This meeting is jointly sponsored by the Sonoma County Winegrape Commission and the Mendocino County Farm Bureau in conjunction with the Western Sustainable Agriculture Research and Education grant. For more information go to the Western SARE website at: https://wsare.usu.edu or call 435-797-2257.